"When people hear “authorizer,” they might picture the institution, the process, the paperwork. But the day-to-day work is done by passionate professionals—people that bring their expertise, their wisdom, and their love of children to the decisions they make every day.That’s why authorizers’ voices are so important. Here, NACSA turns to some of the leaders in the field, and listen to their perspectives on their work and how it’s making a difference for children in charter schools, every day." Click on the images below to see NCSECS' Executive Director, Lauren Morando Rhim, weigh in on important issues concerning the authorization process and special education. 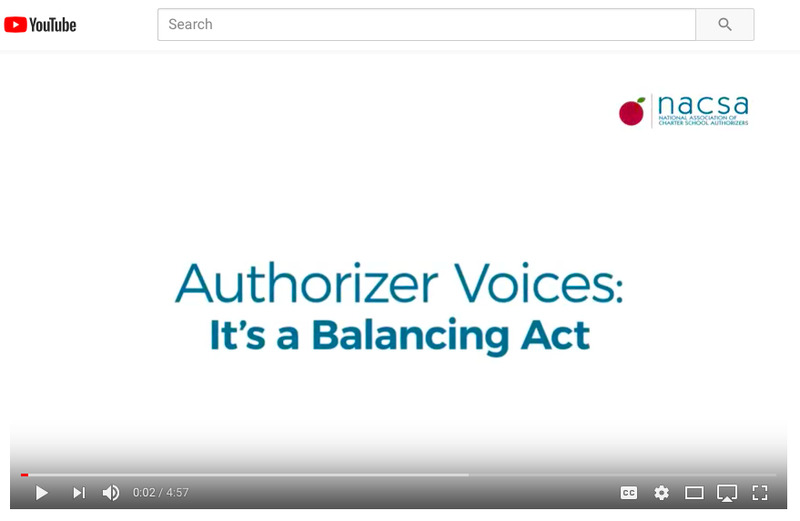 Interesting in seeing more videos from the Authorizer Voices Series? Visit NACSA's YouTube Channel!